I popped into the Birmingham Primark killing some time before my train home from work one evening and ended up with a few little purchases. If you know me, you will know that I do not need any more pyjamas, it's an obsession I have that I just constantly end up buying them! 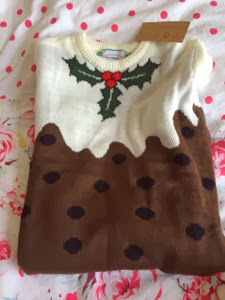 I also spotted the two Christmas jumpers and couldn't resist, not sure that I'll ever where these outside of the house though as much as I love them! 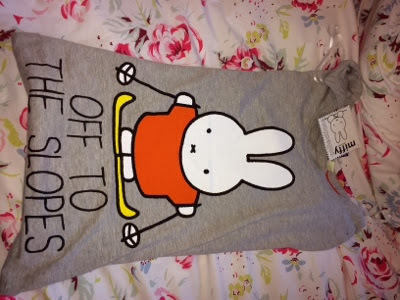 I immediately loved this T-Shirt, it's Grey and has a giant picture of Miffy skiing. I don't think I need to say any more. 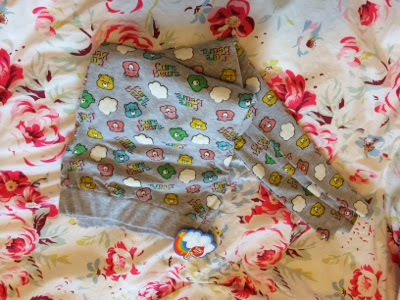 Care Bear legging Pyjamas - I'm starting to see a theme here, one that is clearly showing I'm clinging onto my childhood. 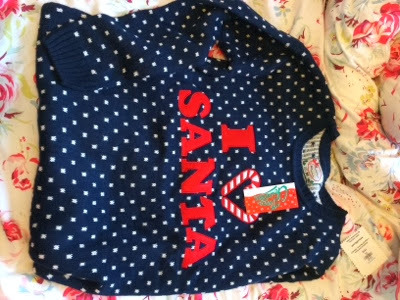 I heart Santa jumper - with Candy Canes as the hearts and polka dots. 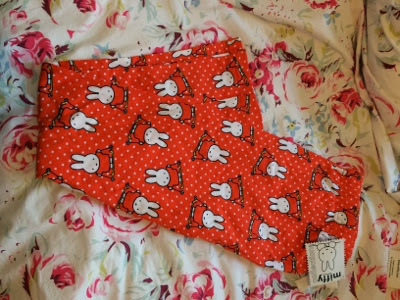 Miffy PJ bottoms - Red, check. 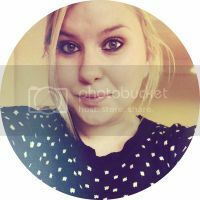 Polka Dots, check. Miffy, check. Lack of acceptance of being a grown up, check. I found this in the mens section and loved it and had to have it, so have it I did.